Martin Raskin graduated from Seton Hall University School of Law, where he was a member and executive editor of the Seton Hall Law Review. Upon graduation, Mr. Raskin served a judicial clerkship with the chief judge of the United States District Court for New Jersey. Thereafter, Mr. Raskin held various positions within the United States Department of Justice, including Assistant U.S. Attorney for the District of New Jersey; Special Attorney with the Organized Crime and Racketeering Section assigned to the Miami Strike Force; and Chief of the Criminal Division for the U.S. Attorney's Office for the Southern District of Florida. After leaving the government for private practice, Mr. Raskin joined forces with his former Justice Department colleague, Donald Graham, and practiced for eight years as Raskin & Graham. When Graham was appointed to the federal bench, Mr. Raskin joined forces with his wife, Jane Serene Raskin, to form Raskin & Raskin. Mr. Raskin specializes in complex criminal and commercial litigation, grand jury investigations, related administrative proceedings and appeals. Over the years, he has represented numerous corporations, public officials, professionals and individuals involved in a wide variety of industry segments, including banking and finance, health care, the issuance and sale of securities, aviation and international trade. Mr. Raskin has spoken before numerous professional organizations on a host of topics involving federal court litigation and various aspects of white collar criminal practice. He is the recipient of various U.S. Justice Department Awards and has consistently received the highest rating awarded by the Martindale-Hubbell Law Directory for legal skills and professional ethics. 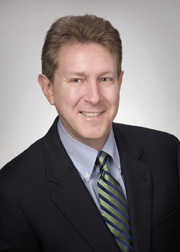 He is listed in Law & Leading Attorneys; Leading American Attorneys; The Best Lawyers in America; Florida Super Lawyers; Florida's Legal Elite; The International Who's Who of Business Crime Defence Lawyers; South Florida's Top Lawyers; and he received the highest rating awarded by Chambers & Partners, America�s Leading Business Lawyers, under the category of Litigation Specialists, White Collar Crime and Government Investigations. According to Chambers: "Martin Raskin is regarded as one of the best attorneys in the state and has an enviable track record of success." Also according to Chambers: "Martin Raskin is praised by sources as being 'a very good advocate,' whose measured style means he is so 'likable and credible that juries love him.'" Mr. Raskin has also been rated "Superb" by the AVVO lawyer rating website. Mr. Raskin is a member of the the American Bar Association, where he is a member of the Litigation and Criminal Justice Sections, the White Collar Crime Committee, and the former Vice-Chair of the Grand Jury Committee; the Florida Bar, where he is a member of the Criminal Law Section and formerly served on the Federal Practice Committee. Mr. Raskin also served as a member of the Florida Bar�s Grievance Committee investigating allegations of wrongdoing against members of the Bar. He subsequently was appointed Special Counsel to the Florida Bar for the purpose of representing the Bar�s interests in attorney grievance matters. Mr. Raskin has served as a Special Master in the U.S. District Court for the Southern District of Florida and as a member of the Court's Peer Review Committee, reviewing attorney disciplinary matters for the Court. Mr. Raskin is also a member of the Florida Association of Criminal Defense Lawyers and the National Association of Criminal Defense Lawyers, where he served on the White Collar Crime Committee, the Prisoner's Rights Committee, was Co-Chairman of the Grand Jury Practice Subcommittee of the White Collar Crime Committee, Vice-Chairman and Chairman of the Government Misconduct Committee, and Co-Chairman of the Department of Justice Dialogue Committee. Mr. Raskin is a member of the International Air & Transportation Safety Bar Association, where he served as a member of the Select Committee on Aviation Public Policy. He is also a member of the Assistant United States Attorneys Associations for the Districts of New Jersey and the Southern District of Florida, where he served as President. Mr. Raskin is admitted to practice in Florida, New Jersey, the United States Supreme Court, and various federal courts throughout the United States.